Current literature documents the use of many pharmacologic agents in the management of acute sunburn. While numerous studies have been undertaken, there is no consensus on an algorithm for such treatment. We review the literature for an evidence-based approach to the management of sunburn. 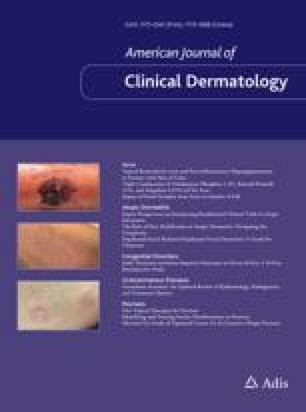 A MEDLINE search was conducted whereby all published articles related to sunburn or ultraviolet (UV)-induced erythema from 1966–2001 were evaluated. Studies and reviews were excluded if they were not conducted in human beings. The results of these studies are varying and often conflicting in terms of clinical effectiveness or feasibility. A total of 40 studies were reviewed. Fourteen out of the 40 studies addressed the actual treatment of sunburn (i.e. the application of a substance after the development of signs or symptoms). The majority concluded that either corticosteroids, NSAIDs, antioxidants, antihistamines or emollients were ineffective at decreasing recovery time. The remaining studies showed mild improvement with such treatments, but study designs or methods were flawed. Furthermore, regardless of the treatment modality, the damage to epidermal cells is the same. Given the lack of convincing data and consensus of opinion regarding sunburn management, the most effective and practical approach to acute sunburn is symptomatic treatment of UV light-induced symptoms, including erythema, pain and pruritus. The authors received no funding for the preparation of this manuscript. They have provided no information as to conflicts of interest directly relevant to the content of this review.